Carnacon only 18 min (15.0 km) via L1607 from Ballinrobe. One country house in Mayo has a direct connection with the famous Green and Red of Mayo, the colours that the Gaelic Athletic Association (GAA) county footballers wear when they go to battle in Croke Park. The demesne that surrounds Towerhill House near Carnacon in County Mayo is said to have been the setting for a Gaelic football match organised by the Blake Family, for whom Towerhill was their ancestral home. It was here on the 23rd January 1887 that the local team from nearby Carnacon first wore a green and red jersey which was the origin of the colours that the Mayo team wear today. This event is commentated with a plaque at the gates that once formed the main approach to the house. The Blakes were Catholic landlords who provided employment, built a local school and also are credited with supporting the early incarnation of the Gaelic Athletic Association. Unfortunately Towerhill has not survived but has disappeared from view, surrounded by a forest of trees that obscure its very existence. 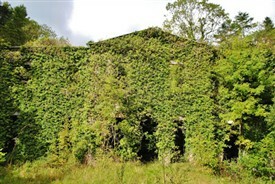 The two storey over basement classical style house, unique in having a pediment on each of its four facades, is now indistinguishable from the ivy covered hulk we see today. Towerhill was once the home of the prominent Blake family who descended from John Blake, the 4th son of Sir Valentine Blake of Menlo in Galway. The Blakes of Towerhill were relatives of prominent families in the locatity such as the Blakes of Ballinafad House and the Moore Family of Moore Hall. The writer, George Moore once said ''Moore Hall had always seemed to me to be a mansion house inferior to Clogher and Tower Hill”. The mansion near Carnacon in Mayo was said to have been built for Isidore Blake, who died in December 1818, so the only thing known is that the house was built prior to this date. However Isidore married in 1767 which could give us a better indication of when the house was built. Isidore's son, Maurice Blake, born in 1771, married Maria O'Connor, the daughter of Valentine O'Connor in August 1803. The marriage produced a son and heir to Towerhill, Valentine O'Connor Blake who was born in 1808. Valentine O'Connor Blake married the Honourable Margaret Mary ffrench the daughter of Charles Austin ffrench, 3rd Baron ffrench of Castle ffrench in Galway. Lord ffrench died in September 1860, aged 74 years, and strangely he is buried in the Blake family vault outside the church in Carnacon rather than in the ffrench family vault. Valentine O'Connor Blake was the High Sheriff in Mayo in 1839 and was said to have been one of the first Catholics since the Reformation to hold that position. Valentine O'Connor Blake died in 1879, aged 71 at St. Kevin's, Bray in Co. Wicklow where it is said he had been staying for a number of months. His remains were conveyed by rail to Claremorris Station where they were met by horse drawn hearse and brought to Towerhill. Here they lay until his burial in nearby Carnacon in the Blake family vault where his hearse was followed by a procession of 250 of the tenants of the estate. Another property owned by the Blakes of Towerhill was Bunowen Castle in Co. Galway which they used as a summer residence due to its maritime location. In 1853, Valentine O'Connor Blake bought Bunowen Castle and the estate in the parish of Ballindoon, Co Galway, from John Augustus O'Neill. Valentine improved the castle and made it habitable. In the 1870's, Valentine O'Connor Blake of Towerhill and Bunowen Castleowned 4,198 acres in county Mayo and 7,690 acres in county Galway. 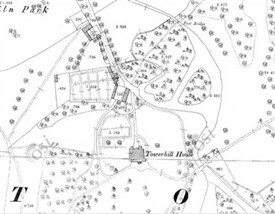 The demesne around the house of Towerhill alone extended to over 300 acres. After the death of Valentine O'Connor Blake, Towerhill passed to his eldest son, Maurice and Bunowen passed to his second son, Charles, who made further improvements to the castle and left it ' as imposing as any of the other Galway mansions'. However Charles choose not to live there as he had purchased in 1880, Heath House at Maryborough and therefore a younger brother Thomas went to live at Bunowen. The Galway property was sold to the Congested Districts Board in 1909 and half the Mayo property in February 1914. Bunowen Castle is a ruin today, however it seems to have faired slightly better than Towerhill. 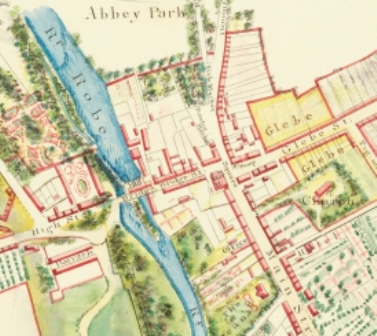 In 1894, Towerhill is recorded as being the fine home of Colonel Maurice Blake, he had married Jeanette in 1863, the only daughter of a surgeon named Pierce O'Reilly from Dublin. Colonel Blake was the High Sheriff of Mayo, a Colonel in the Mayo Militia and was the Foreman of the Grand Jury. At the time of the 1901 census, Maurice Blake and his wife, Jeannette are living in Towerhill with their son Valentine aged 34 and his three sisters Olivia aged 35, Georgina aged 22 and Margaret aged 25. Maurice's brother, Thomas, who is a barrister aged 51 and listed as being born at Towerhill is also present in the house. Staff in the house on the night of the census extended to five female servants and a groom. In the same year, a serious fire occurred in the stables of Towerhill which threatened all the buildings in the yard near the rear of the house. Colonel Blake dispatched his three daughters on bicycles, to cycle through the village and gather as many people as possible to help put out the fire. Horses, carriages and carts were rescued from the stables before the roof collapsed. A section of the roof near the adjoining buildings was pulled down in case the fire might spread. By 1904, plans were afoot by the local tenants for the estate to be broken up and the land sold to them, if the sale price was agreeable to all parties involved. At the time of the 1911 census, Maurice Blake is still in residence in Towerhill, he is now aged 73, is a retired Colonel, a Roman Catholic and his birthplace is listed as being Dublin. He shares the mansion with his wife, Jeannette aged 69, their daughters Olivia, aged 45, Georgina, aged 42 and Margaret aged 36 all of whom were born in Dublin and are unmarried. Maurice's son Valentine also lives in Towerhill, he is a retired Captain aged 44 and is also unmarried. Staff in Towerhill included five female servants and Michael Hayden aged 28 from Tipperary who is the Butler. The house is recorded as having 31 rooms and 30 outbuildings. 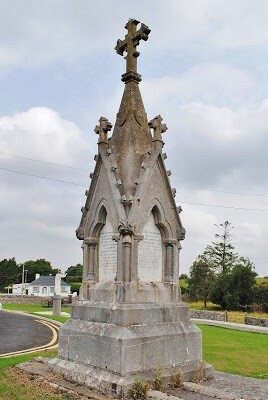 Some of Maurice Blake's children predeceased him, his daughter Cecelia Mary died in 1888 and Frances Mary died in 1897. In 1913, Maurice's second son Charles died at Towerhill of pneumonia which developed after a day out shooting on the estate. In April 1915, Colonel Maurice Charles Joseph Blake died aged 77 years and left an estate valued at £5,938.00. His wife Jeannette died just over a year later in Dublin when visiting friends in December 1916, followed by the death of her daughter Margaret Mary in October 1938. Towerhill passed to the eldest son Valentine while his sisters Georgina and Olivia Blake continued to live in the mansion with him. This is evident from the number of advertisements they placed in the 1940's looking for suitable parlour maids. However it was the death of Valentine that heralded the end for Towerhill as the home of the Blake family. Valentine Joseph Blake died, unmarried, aged 81, in July 1947 at Towerhill and left an estate in his will valued at £8,705. His two sisters remained living in the house for roughly another year after which they auctioned the contents in 1948. 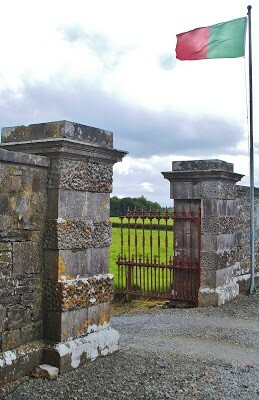 The auction took place over a number of days after which, the sisters moved to Loftus Hall, a convent, in Co. Wexford. Allen and Townsend Auctioneers were tasked with the sale that included furniture, live stock, farm implements and household effects to take place on the 18th and 19th May 1948. Items sold included a full sized billiard table, full sized concert grand piano and the contents of nine bedrooms. It was recorded prior to the sale that the house contained 'many fine apartments, antique furniture and portraits in oils of various members of the family adorn the walls' however there is no mention made of any of the family portraits being sold. With the departure of the sisters to Wexford, in June 1949, a demolition sale was announced for Towerhill, where 'first class' materials were available for purchase. The walls of Towerhill were to be stripped bare as the advertisement speaks of a 'Highly Important Demolition Auction' where items for sale include 'Timber, Joists, Rafters, Mahogany Doors, Slates, Slate Slabs, Mouldings, Panels, Mantelpieces, Fire grates etc. etc.' The house has remained as a ruin but this sadly cannot not be appreciated today. As can be seen from the photographs, the house is barley visible, surround by tress and covered with ivy. Here and there, little glimpses of former grandeur can be seen. Fragments remain of the curved headed window that once stood on the half landing of the stairs that overlooked a very wide hall. 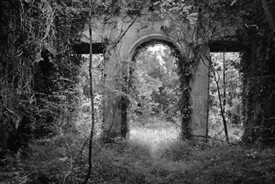 Today even if you stood within 10 feet of the house, its ruin is invisible as the forest has become so thick that surrounds it. The Blake sisters spent the rest of their lives in St. Mary's Convent, Loftus Hall, Wexford where Georgina Blake died in January 1959 at and Olivia died in 1966, both were returned for burial in the family vault in Carnacon. 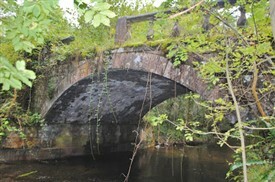 While the main gates of Towerhill are in relatively good condition, a decorative bridge found near the house has become badly damaged over the years. This is also obscured by trees and other vegetation with sections of the decorative balustrade having fallen into the stream below. This structure with its elegant arch spans a river that was realigned for Valentine O'Connor Blake in the 1850's as a famine relief drainage project. Today the only visible trace of the Blakes of Towerhill in the locality of Carnacon is a monument found over the Blake family vault in the grounds of the nearby church yard. While I understand that Towerhill is a ruin and the home to some rare bats surely something can be done to protect and consolidate these ruins and the nearby bridge. Yet again, I am astounded as I travel the country looking at buildings of this nature, that the word 'protected structure' is bandied about. Therefore I ask, looking at the photographs here, how is the ruin of Towerhill or its surround structures protected by Mayo County Council. While this house will never be anything more than a ruin, it could be maintained in a fashion so that it could be appreciated as a piece of the architectural and cultural heritage of Mayo. David Hicks from Mayo graduated in Interior Architecture from Sligo Institute of Technology. As part of the degree, he completed a thesis on Moore Hall, home of George Moore which burned down in 1923. As a result David began to research the Irish Country House. 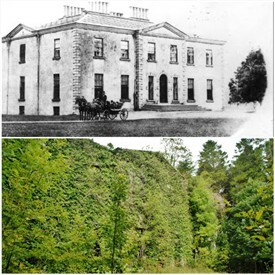 While researching Rappa Castle in Mayo, home of his great grandmother, he decided to put together Irish Country Houses – A Chronicle of Change (2012). 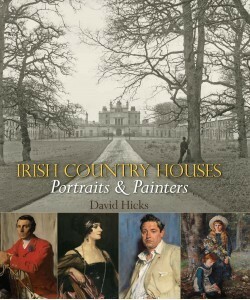 He publishes and speaks widely on Irish country houses. Make sure to visit David's blog – he's also very active on Facebook and Twitter. This page was added by Averil Staunton on 17/12/2017.